What matters is the ability to sow chaos in races that may be decided by literally dozens of votes. In every district where Democrats are facing so-called “Unite Colorado” candidates, who are flush with cash from the out-of-state funded quasi-party organization backing these “independent” campaigns, they’ve led with the simplest of messages: don’t be fooled. These individual candidates are well-meaning, but the overall operation is not. This is not intended to grow any bonafide alternative to the Republican/Democrat duopoly in American politics, just another Republican-conceived vehicle to undermine their Democratic opponents. That’s what the same Nick Troiano had to say after the 2016 elections, and he’s right. With Democrats’ backs against the wall, the stakes as high in any election of our lifetimes, and a landslide shaping up against Republicans that could rival the historic 2010 wave they themselves enjoyed, now is most certainly not the time to abstain. Or vote for a third party. Like “Unite Colorado.” We couldn’t agree more, Nick. If they flip a single race we'll never get rid of them. It's like feeding a stray cat. That's for damn sure. Look at the jilliots. Thank you for pointing this out!!! I found it interesting that these candidates came in with a lot of early money, which most of them have spent. They've not been so good on raising money since then. SD30 (Chris Holbert's seat – Highlands Ranch) U-Steve Peterson only had $2,000 on hand Oct. 15th The is a solid red seat. Julia Varnell Sarjent is the D.
HD11 (open – Pete Lee's seat Colorado Springs) U-Maile Foster had $9,000 on hand Oct. 15th This is a Democratically held swing seat. Marc Snyder is the D.
HD33 (Matt Gray (D) holds seat) U-Jay Geyer only had $7500 on Oct. 1st. This is definitely a swing seat. HD54 (open seat held by Yeulin Willet (R) U-Thea Chase had only $500 left on October 15th. This is a pretty solid Repubilcan seat. HD59 (Seat held by Barbara McLachlan) U-Paul Jones had $11,000 left on October 15th. The Republicans didn't even field a candidate in this race, which is INCREDIBLE….as this is a very very swing seat. It has switched back and forth between R's and D's for a number of years. Seems to say something that the R's didn't even run anyone. 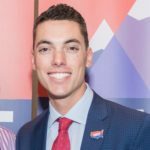 I thought Eric Montoya (HD31 – Joe Salazar's (D) Thornton seat) was also one of the Unite Colorado folks, but he's not on their web page. He started out with $26,000 but is down to $400 now. Dr. Yadira Caraveo is the Democrat in the race. It is slightly swingy. You'll note the only swing seats they are running people in are Democratically held seats. Sadly, Andrew Short, who ran the Democratic Senate campaign in 2016 is heading up the effort for Unite Colorado. So what's going to happen with your Thornton district, House District 31? I have someone running in the district. Her name is Yadira Caraveo; she's a medical doctor who grew up in the district. She comes from an immigrant family. Her family immigrated undocumented. She was born here, and she went to school in the district, graduated from medical school, went to the University of New Mexico to do her residency and came back to the district. She's a pediatrician in the district she was raised in. My district is going to be in really good hands. She's in a three-way race against Eric Montoya, a Thornton City Council member and an unaffiliated candidate backed by United Colorado, and Republican candidate Rico Figueroa, who lost his bid for Adams 12 Five Star school board and lost his Colorado Supreme Court lawsuit over the election. Is there concern he will be a spoiler and that the district will flip red this time given how tight your last two re-elections have been? There is a concern that it might go Republican because of what he's doing, but he's a really bad candidate. I think people will see right through that. Montoya was disqualified, and will not appear on the general election ballot. So I think Joe is right to say that Yadira Caraveo will probably win in 31 against the Republican Figueroa. The Libertarian, Bree Owens, will likely take more from the R candidate. But, as our trusty CHB is quick to remind us, "Don't be complacent!"